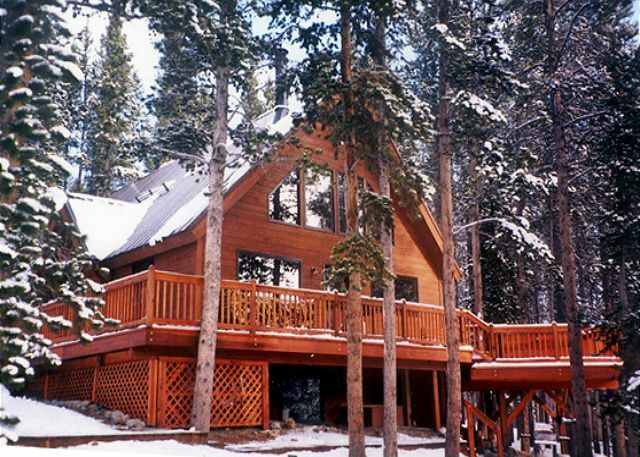 Experience the magic and beauty of Breckenridge in this beautifully built and immaculately maintained log home on Peak 7. 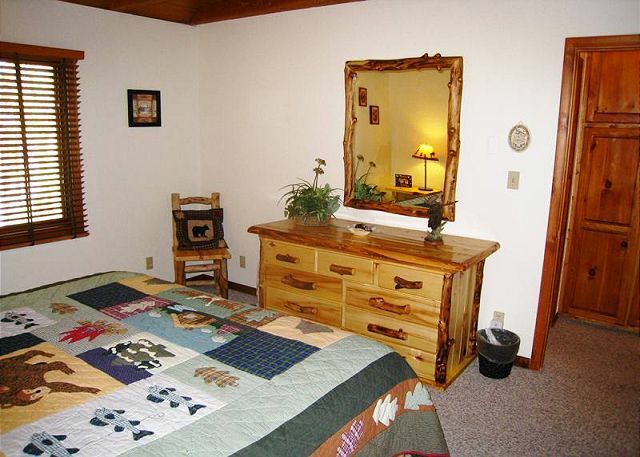 If you are looking for the perfect mountain retreat, that is only minutes from downtown Beck, this is the perfect home for you. The owners have spared no expense in decorating this home! This non-smoking home has a fully furnished kitchen, wood burning stove, washer/dryer, a spacious outdoor deck, a gas barbecue grill, and a BRAND NEW hot tub! 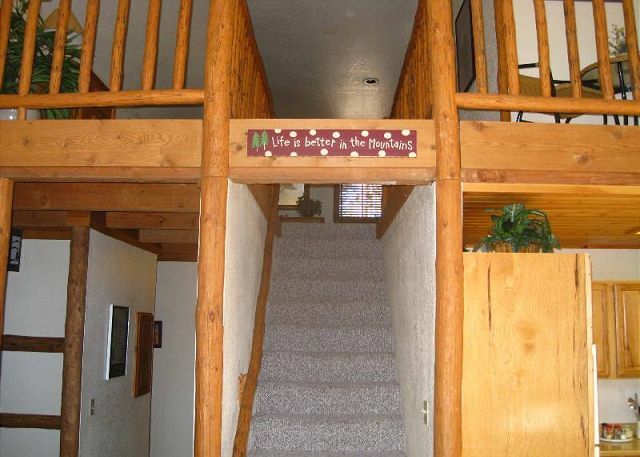 This home sleeps 8 and features 2 bedrooms, 2 bathrooms, and a loft. There is a separate basement apartment/tenant. The Haus Crisler was the perfect place for our family’s Thanksgiving weekend! It was so nice to be close to the ski area and town, yet we didn’t feel like there were people all around. (The skiing was outstanding!) The house was comfy, and stayed really warm. I had seen the review about not enough towels, but they have definitely fixed that, there were plenty of towels! Hannah with Alpine Meadows Propert Management was very helpful! We used the kitchen a lot and it was well stocked. We cannot think of a better way to spend thanksgiving than with the family at the Haus Crisler! 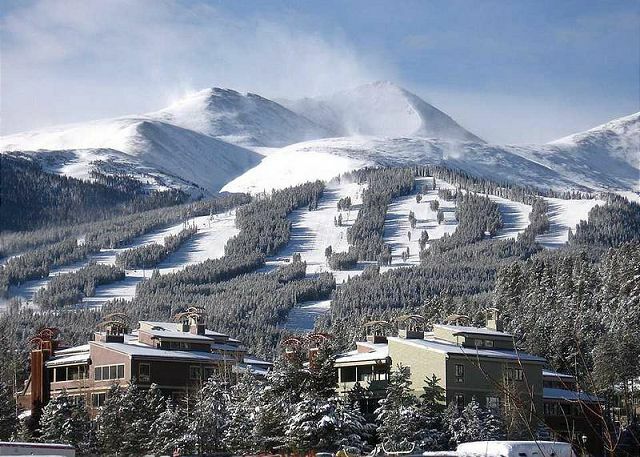 We are so please to know you enjoyed your time at the home and in Breckenridge with Alpine Meadows. We value your feed back and hope to host you again next time! This cabin was beautiful! It was the perfect location for a quiet and relaxing short break yet only a 10 minute drive from the town. 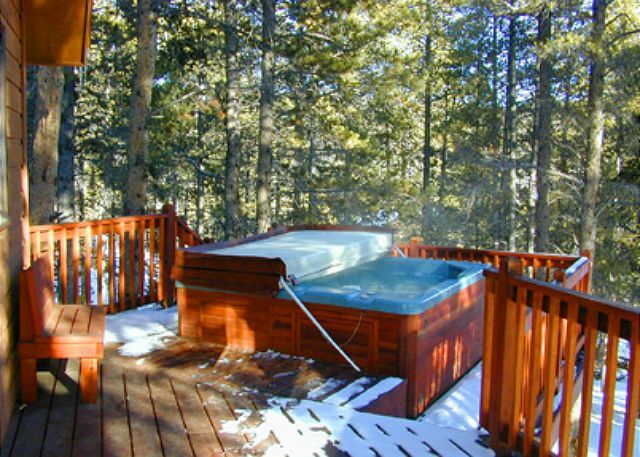 The views from the cabin are stunning and it’s worth taking advantage of the perfectly located hot tub! The cabin itself was cozy and inviting with everything we needed! 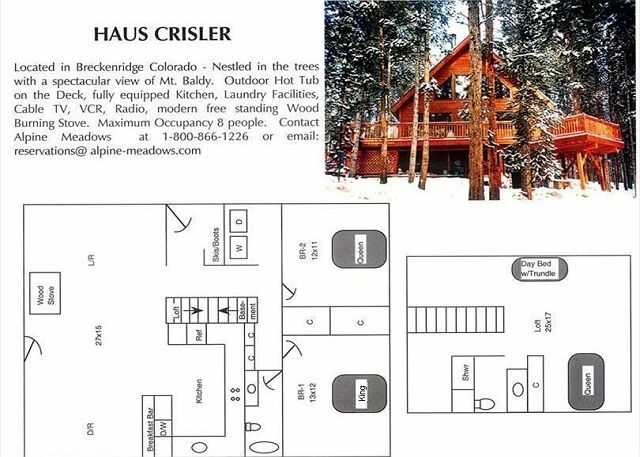 Thank you for sending us a review of your stay at the Haus Crisler and with Alpine Meadows. 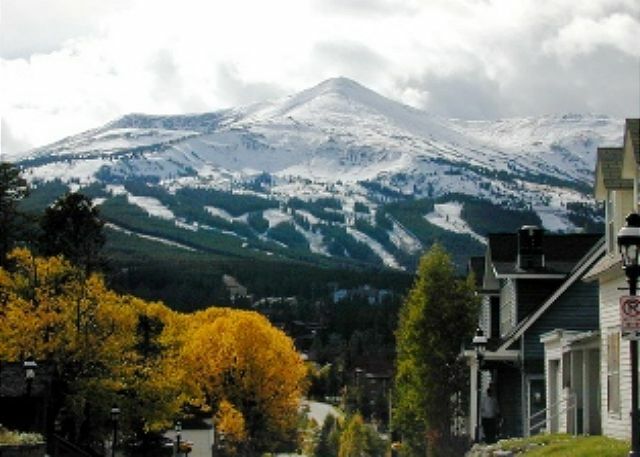 We love the views too and are so glad you enjoyed your vacation in Breckenridge! We hope to see you again, next time. We had an absolutely perfect stay! The cabin was adorable and just the right size for us (4 adults, 2 kids). The views are breathtaking and it was an easy drive up/down the mountain to town. 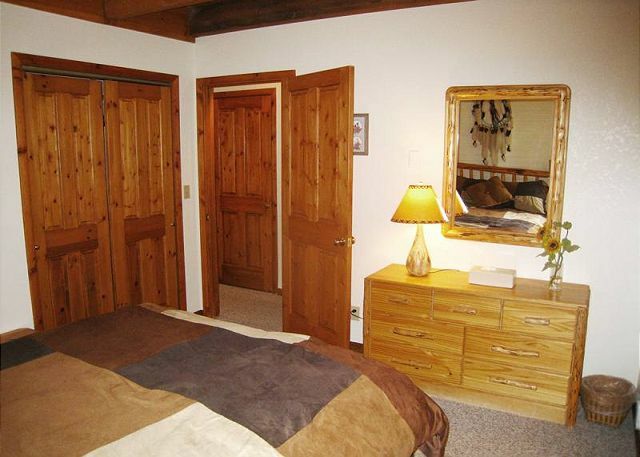 We appreciate the nice review of your recent stay with Alpine Meadows at Haus Crisler. 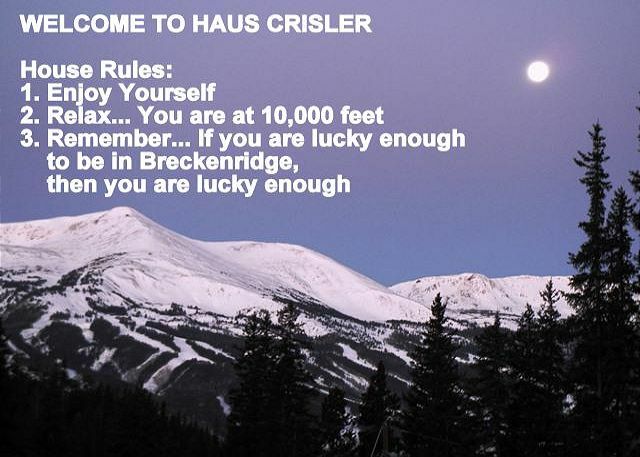 Thank you and we hope to be able to host you again for your next stay in Breckenridge! The cabin was very clean and cozy! The views were amazing! The location was close to town. We will definitely be back. We would love to have you back again! Thank you for taking the time to send us such a nice review of your stay at Haus Crisler. Stay in. Mom loved having a washer and dryer to keep everyone in clean clothes. 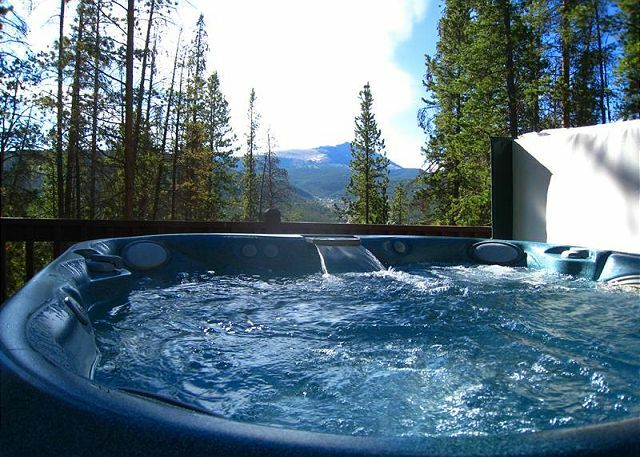 The hot tub with Mountain View and Breck view below is majestic. 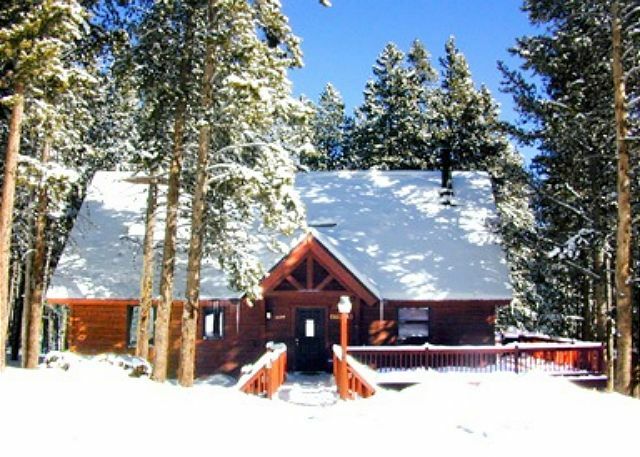 This cabin is close to Breck, but far enough away to be a quiet retreat. It was so peaceful. There is a resident who lives below, but we didn’t ever see him. It wasn’t a bother at all. The management company was very responsive to our calls and fixed a clogged sink while we were out playing. Some cabins with all these amenities were much more exciting expensive. This is a deal! Beautiful views from the cabin. It was a pleasure having you as guests, thank you for choosing Alpine Meadows and Haus Crisler! We appreciate you taking a moment to send such a nice review of your recent stay at the home We hope to see you again for your next Breckenridge vacation! 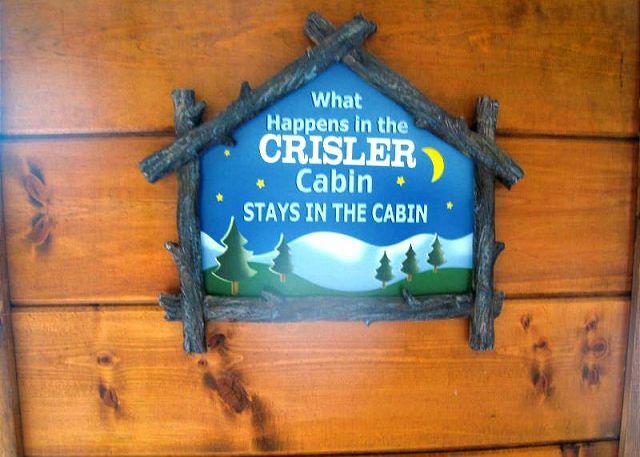 Haus Crisler is a fantastic cabin at a great location in Breckenridge.The photos of the cabin are beautiful and that is exactly what you get. It had everything we needed...linens, towels, dishes, dishwasher, washer, dryer, propane grill and a hot tub. We had plenty of space for the 7 of us. 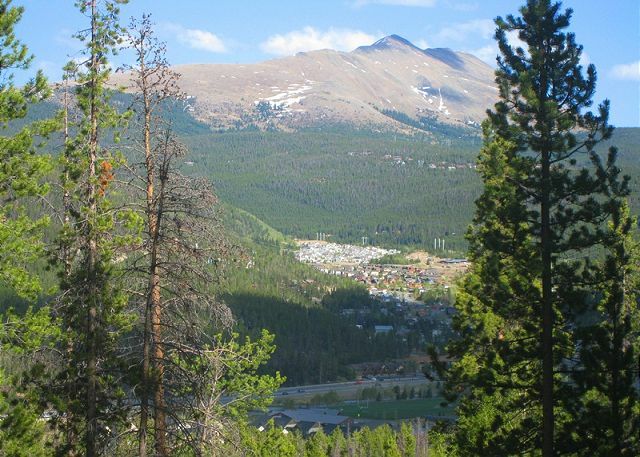 It felt private, but was minutes away from all that Breckenridge had to offer. Hannah was great to work with. We appreciate your review of the Haus Crisler home! We think its a fabulous home with so many great things to offer inside and out! Thank you for the nice comments! Enjoyed the location and the beautiful cabin. Glad to hear that you enjoyed your stay! Thank you for your nice review of Haus Crisler! 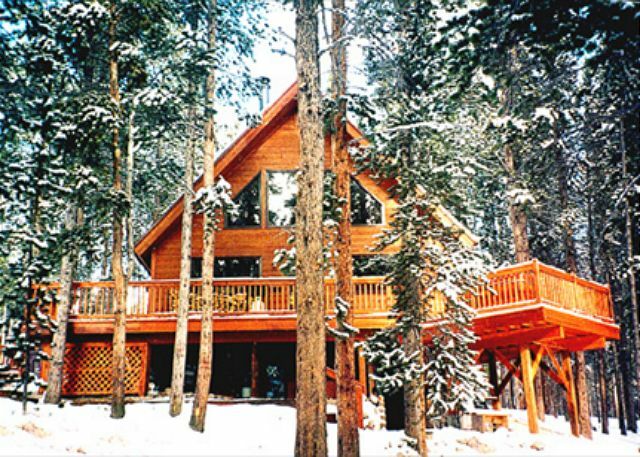 We love this house, it is spacious and love the BBQ and jacuzzi/hot tub after skiing. Hannah from Alpine Meadows is always available for any need we had. The location is also great, only 7-10 minute drive to Village where our kids had the ski lessons. We are so happy you were able to make a 2nd year return to Haus Crisler and we hope for many more years! 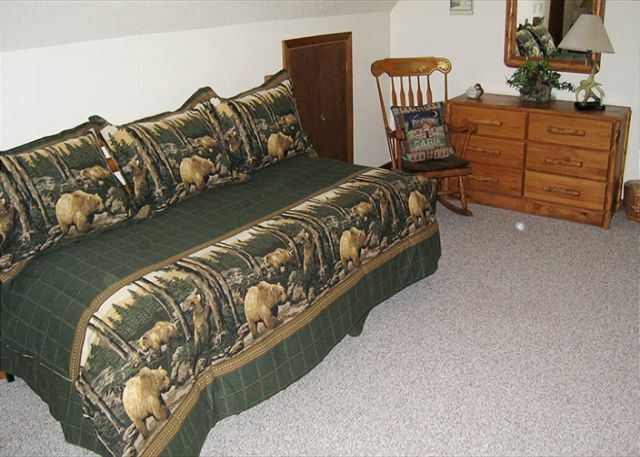 We are glad your stay at the home and in Breckenridge was enjoyable! Overall very satisfied one suggestion place a shovel at the back door. Our experience was problem free! (which was relaxing and refreshing in itself). We all enjoyed Haus Crisler very much. The house had everything our family needed. Perfect space for 4 adults and our grandchild. The kitchen was equipped with all we needed. The linens were very nice. The views were spectacular and our location was just perfect. We enjoyed a great little vacation. beautiful area and lots to see. This place was exactly like we wanted. Hopefully we can get another couple to come with us and enjoy the area and what it has to offer next time. My husband and I were looking for a secluded home rental in a quet area, yet still easily accessible to civilization. Haus Crier was the perfect location. Close enough (5 min) to Brexkenridge for a quick dining or shopping trip, yet far enough away to be removed from the summer bustle, bike, and foot traffic. 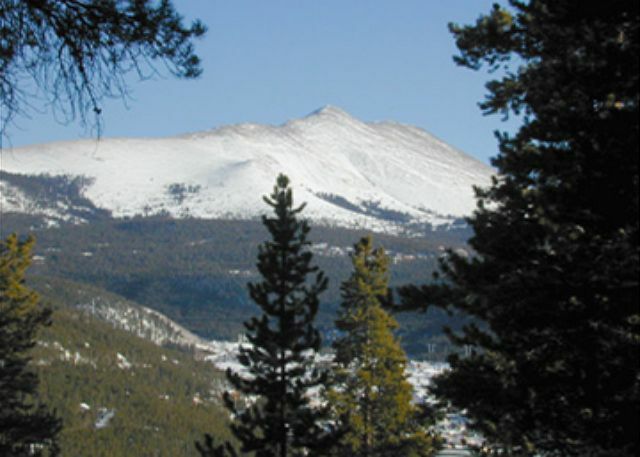 A quick jaunt over to Highway 70 gave us access to some awesome day trips and hiking excursions. House was super clean - wonderful linens - and hot tubbing on a mountainside was a bonus not to be forgotten. We loved the house, hot tub, location, and everything about it, particularly the amazing views. 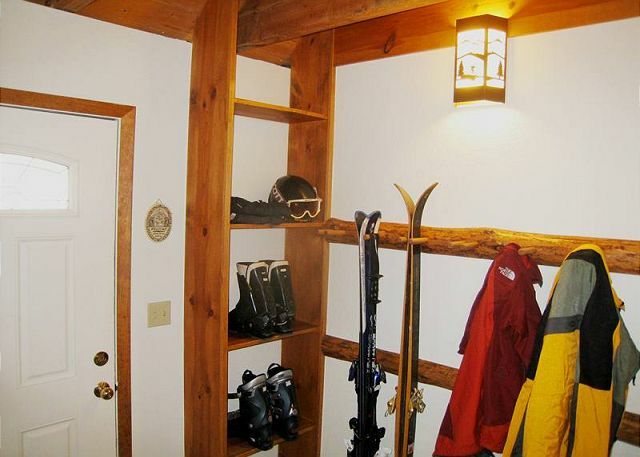 Alpine Meadows did a great job and made every thing regarding our rental easy. We totally enjoyed our stay at the Haus Crisler. The management company was very well organized and had the place in tip-top condition. The house had everything that you could possibly want or need. The decor was great. Furnishings and appliances were all in excellent condition. You can tell that the owners have invested a lot of love and pride in this place (I suspect that they use it themselves a lot). It's not just full of a bunch of rental-quality junk. The pictures we saw online didn't do it justice; it looked much better in person. The hot-tub was awesome and the view was spectacular. Instructions/directions for everything were crystal-clear. One thing though that others should know: This house is pretty far up on a mountain and as such you could have trouble getting out if it was snowy or icy. You definitely need an AWD vehicle to get up there. The only complaint I had was that the loft doesn't have much privacy. All living room noise goes up to the loft and you can't really change your clothes up there unless you go in the bathroom (which is small). It's more like an extension of the living room rather than a separate bedroom. I also would have appreciated a little more volume on the TV; it was hard to hear sometimes. But let me be clear: This is a high-quality well-managed rental that almost anyone would love to stay in.